In terms of frequency of visits to QSR’s, nobody beats the 35 and under crowd. And, if there’s one thing that defines this age group, it is the fact that they live their lives online. They are connected to the internet via their smartphones almost continuously, from the moment they wake up until the minute that goes to sleep, to a degree that mystifies most older folk. This young demographic is even more likely to choose the drive-thru lane over the dining room than older customers are, and because they are addicted to everything tech, they are far more likely to patronize a QSR that employs drive-thru Digital Signs over one that doesn’t. But in reality, the quickest and surest way to capture this lucrative demographic is to appeal to them where they live, and that’s at their smartphones. 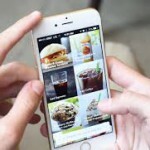 It isn’t easy to establish, as you’ll need to develop a smartphone app that connects your customer’s debit card to your POS system, and feeds in much of the same information that is presented to your drive-thru Digital Signage. But the rewards are significant. Your customers need no human-to-human contact with your order takers or your cashiers. There is little possibility of miscommunication or error, and throughput soars. And because this is the way the younger crowd likes to do business, you will gain their loyalty and patronage. And that’s not all. It’s a fact, customers who avail themselves of mobile ordering love loyalty programs, and they respond strongly to them. And what a boon for you, too, because it gives you, the QSR, a perfect invitation to reach out to your mobile customer base, and entice them, give them the reason, to visit your establishment once again. And, you can make it even easier for your mobile customers when they do stop in again because remember, this is all digital, and you have an actual record of what they buy. You know what they buy in the mornings, the evenings, on cold days, and on hot days. It is even possible to deploy a system, based on artificial intelligence, to predict what they would most like to buy in any given set of circumstances. Putting it all together, your QSR can become another one of your customer’s online buddies, with predictably happy results for your bottom line.